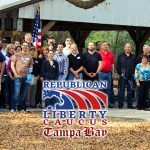 Candidates from across the Tampa Bay area were asked to complete our 2014 Legislative Candidate Questionnaire. Below are the responses for the candidates from Florida Senate District 24. Brandon R. Thebeau (Write-in) – Responded, Thank you! Tom Lee (Republican) – Did not respond. Steven P. Warren (Write-in) – Did not respond. Thebeau: I believe that economic prosperity starts at the labor force. Producing a more competitive labor force through the betterment of education in grade schools, as well as state universities, not only allows Florida, as a whole, to become more competitive in the nations market but also encourages companies nationwide to build and invest in Florida. This would open up job opportunities for all Floridians, as well as promote business within local areas. Thebeau: A. I believe that $77 billion budgets allow for certain legislators to pass through unnecessary financial burdens, that can go undetected due to the nature of the system, that over encumber families with unneeded taxes. B. I believe that with appropriate actions and careful consideration the Florida Legislature can cut away at any loop-holes as well as unnecessary spending and could easily reduce the size of the budget. Thebeau: Unfortunately the act of refunding $1.5 billion dollars would create financial wastes that would be irresponsible. If the initial money was meant to be invested in alternative fuels, such as nuclear power, I believe that this money would still be best spent investing in alternative fuels. Florida has great potential to become a leader in the advancement of certain forms of alternative fuels such as solar panels or wind and ocean turbines. Investing money that has already been allocated to this advancement would not only be the responsible choice but also benefit the economy and environment of Florida. Thebeau: While Common Core State Standards may have their benefits, it is important to address the flaws as well. Holding teachers and schools accountable for their students test scores has many adverse effects that create barriers to the education system. Cutting school budgets due to low test scores creates hurdles for that school making it harder for them to raise their scores as well as education standards in general. Offering teachers bonuses based on these practices creates a system that allows teachers to dismiss individual needs of certain students in order to promote what is on the “test” and nothing more. If Florida Standards is to continue it must be implemented with closer supervision in order to assure that the outcome is nothing but beneficial. Thebeau: No. Due to the nature of offshore drilling, as seen in the BP oil spill, the risks associated with drilling can be far too detrimental to consider this a viable option for improving Florida’s economy. There are many other options available that have less risk and equal financial opportunity. Investing in Florida’s abundance of alternative fuels, for example, could not only create long term jobs in a growing field but also decrease our reliance on fossil fuels that are becoming more and more scarce. Thebeau: Yes. I am a strong supporter of the United States constitution above all else. I believe that our individual rights and freedoms are more important than the ‘securities’ create by the TSA. Allowing warrantless surveillance of individuals not only violates those rights but shows the federal government that we will tolerate the degradation of the United States constitution, allowing for further violations. Thebeau: I support this Bill. As it stands, law enforcement officers are allowed to search ‘within arms reach’ of a person to locate evidence to a related crime without a warrant. However, this standard does not give officers free reign over electronic devices. Searching through an electronic device should be seen as invasion of privacy which is prohibited within the United State Constitution and evidence found this way should only be admissible in court if and only if a warrant was issued before hand. Thebeau: Studies conducted on red light cameras have shown evidence that these cameras do create a positive economic impact, even at intersections without these cameras. However, the same studies show an increase in rear-end collisions and the severity of injuries of the parties involved. At this time these studies are limited due to their nature and I believe that in order to truly promote or repeal the use of these cameras we must understand exactly how they benefit Florida roadways. If these cameras truly do reduce accidents then I would support their use, however if they increase the risk then a repeal would be the only responsible solution. Thebeau: I cannot stress this enough. Any prison sentence, let alone mandatory sentences, puts the offender in a position in which they are %60 more likely to reoffend. If we, as a society, see the problem as the action instead of the offender then we cannot allow mandatory sentencing for nonviolent drug offences to perpetuate a system that leads only to future crime. In order to truly help these people we must educate them and offer other services in order to prevent them from becoming just another statistic, especially when this is a problem that many of our youth are challenged with on a daily basis. Thebeau: I support the legalization of medical marijuana for many reasons. The facts and myths behind this drug have been distorted for the past half century and even in light of the scientific realization that there are many medical benefits to the proper administration of this drug our society still falls victim to these false misconceptions. Given the history, medical marijuana is something that will eventually become legalized. My issue with our current regulation is understanding why we must prolong this inevitable legalization when it offers benefits to those who are diagnosed with medical conditions such as cancer, in which it could potentially alleviate a lot of the pain that these people suffer with daily. Thebeau: While I do not believe that people abusing drugs should be allowed to receive welfare support, in fear that they may be irresponsibly wasting taxpayer money, the costs associated with testing each and every recipient has been proven to be more financially irresponsible. That being said, If the basis for testing recipients is that they receive taxpayer money, to avoid discrimination, any person given money or paid by taxpayers should have to be tested for drug use as well. An alternative solution would be through the promotion education in general, for it is proven that through better education both drug use and reliance on welfare is reduced significantly. Thebeau: I support the state’s right to nullify federal law. While federal law may require that states act in accordance with those laws, the tenth amendment of the constitution leaves all powers not delegated within the constitution to the states and the people. Nullifying federal law is a form of validating that tenth amendment right as well as actively protesting that law, which is also legal. States are more responsive to the people than the federal government is and if we were to take power away from the states then we would also be taking the power out of the hands of the people. Thebeau: I would support this bill. While I am not in favor of laws that allow for concealed weapons to be carried without a permit a state of emergency is a special circumstance. I believe the second amendment was written for emergency situations and as such that right should not be infringed. To take away an individual’s right to protect themselves in an emergency evacuation would allow opportunities for chaos to erupt that could lead to disorder and a delayed recovery. Thebeau: Healthcare in the United States costs significantly more than in other countries, this is especially important for Floridians. While the Affordable Care Act was designed to alleviate these costs it is not having the desired nor predicted impact. The idea behind the Affordable Care Act was to allow for a large coalition which would be able to negotiate properly with healthcare providers forcing them to compete for a fairer price. I believe the solution is still through creating competitive prices within the healthcare market, however, I believe this can be done through closing the loop-holes that some of these companies are able to manipulate and exploit for their own gain, as well as creating legislation that protects individuals and families from these same exploitations. If we can stop healthcare companies from ‘cheating’ then fairer and more competitive prices will emerge. Thebeau: I would vote in favor of Florida accepting these funds, although I would do so with caution. While I would not want to put Floridians in a position in which our beliefs are jeopardized for the sake of better funding, I believe that it would be fiscally irresponsible to deny these funds, given that the conditions that came with them were satisfactory. When put to good use, these funds could alleviate a lot of the financial burdens placed on individuals and families who can not afford the costly health care services that we have today while simultaneously helping to eradicate the overburdening costs in general. Thebeau: I do not support the notion that any form of government should pick winners and losers in a competitive marketplace, but I will not be naive to the issues. As I have stated previously, I believe that alternative fuel sources should be advancing in place of drilling for oil, in situations such as these there is an obvious winner and loser, however it is only due to perceived threats as well as potential technological advancements that I believe this type of legislation could be allowed. While I believe fair competition is the healthiest for an economy, some industries have their roots embedded so deeply in our foundation that we become ignorant to the real issues. The Florida legislature is faced with issues that could greatly alter the future of the state and will inevitably be forced to choose a side. I would choose that which allows for the most progress. Thebeau: Transparency, accountability and awareness. While the Florida Sunshine Law has been said to increase the transparency within the our state government, it is useless without holding those in power accountable for their actions. This is because the voters are oftentimes not aware of the real issues. While political trust and efficacy has been decreasing over the years Florida Voters feel as if there is nothing they can do about this corruption in government, so much so that some even stop caring entirely. If we properly inform voters about the real issues we will increase political interest. By increasing political interest statewide voters will not only realize that their vote counts but that we can, in fact, hold inefficient or even corrupt officials accountable for their actions. Thebeau: While I am admittedly bias on this issue, as I am running against a campaign with hundreds of thousands of dollars, it is still important to note the positives that this increased spending creates for our political system. First, it filters out candidates that are unable to overcome these financial hurdles that could potentially take away votes from more effective candidates. Second, it increases the resources that candidates have as a whole and when properly implemented it draws the attention of the voters to the issues that these candidates are trying to promote. That being said, campaigns require a lot of devotion and what a candidate lacks in time they can make up for in money. I believe it requires significantly more effort for a candidate to run without the help of a well funded campaign and in some instances the devotion of these particular candidates may be greater due to their efforts alone. Thebeau: I believe any company that is publicly funded should be required to provide transparency and be held to a degree of standards as a tool of the government, regardless of the company. With Enterprise Florida being a publicly funded organization that was implemented in order to promote Florida’s economy, I believe that it should be subject to an investigation due to it’s failures to complete the task at hand and while job creation is something that takes time, Enterprise Florida should be able to provide documentation to the Inspector General that it is working efficiently and adequately with the task it has been delegated with. Failure to allow for transparency has already raised questions and allowing any organization to slide on standard practices sets a precedent that allows for others organization to follow in their footsteps. If we hold Enterprise Florida accountable, however, we will be paving the way to fixing the corruption going on within our current system.